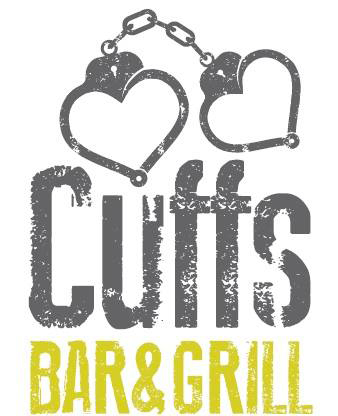 In July 2016, Crumlin Road Gaol opened its new licensed restaurant Cuffs Bar & Grill. The new restaurant is a welcome addition to Belfast's blossoming restaurant scene and the North Belfast hospitality industry. Opened in the NI Year of Food and Drink, which celebrates the quality and creativity in the industry, the new restaurant at Crumlin Road Gaol prides itself on keeping it local. Head Chef Damian Blaney ensures that all ingredients are fresh and sourced locally. Damian and his team make the best of the seasons and have worked hard to create a menu which includes something for all. Service poor. Sides not brought with meals. Had to ask for side. Brought 1 and said other would be ready shortly. Had to ask again for 2nd one. Food lovely and good value. We had a very nice meal with friends at Cuffs. The food was great and the staff were very friendly and helpful. We had to wait 45 mins for our starter. People that arrived after us received their food before us. I am assuming our order was misplaced.My son was catching a flight and ended up feeling rushed. I also had to ask several times for our drink order before it arrived. My gin came with soda rather than tonic. Pity as the food was delicious. Lovely quality food in a great atmosphere. Staff were so prompt and obliging. Really tasty meal. Lovely place worth a visit. Lovely wee restaurant. Food is just delicious. Excellent value for money. Can't fault it! Staff were brilliant and food was amazing, couldn’t fault it! Always get a beautiful meal here, staff are very pleasant and friendly. 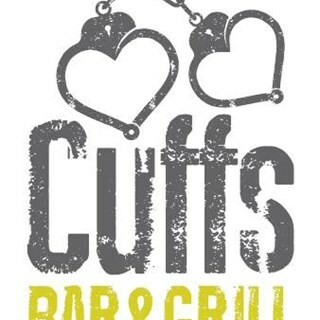 Had a great lunch at Cuffs. Can find no fault with the restaurant or staff at all. It's just a pity it closes at 9pm on a Fri and Sat, just a little too early for me. The food was tasty and fairly priced. After our food was brought to the table, we weren't checked on by staff until we were nearly finished eating. The music was quite loud which made conversing difficult at times. 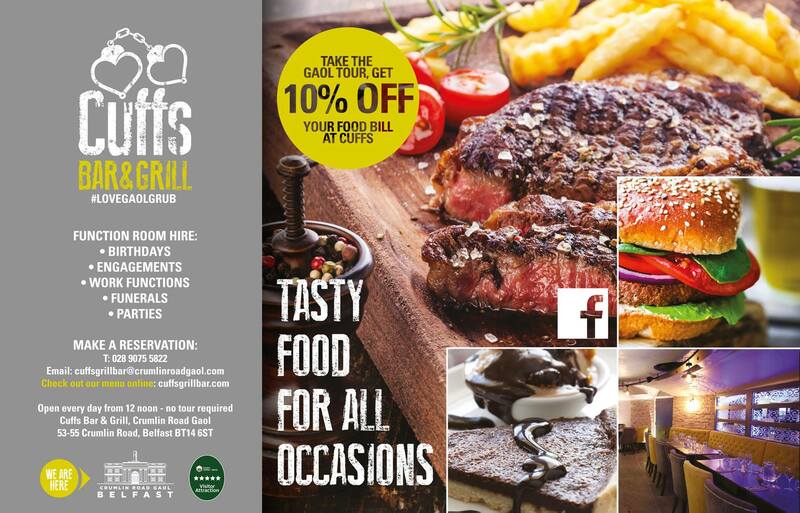 If you are at the gaol for the tour then Cuffs is a good place to eat, but I wouldn't go out of my way to just have a meal here.